We have the most fantastic hall at St Mary's, designed by local Architect Ian Adam-Smith and built by J G Brooks Ltd. As you can see from the picture on the left it has been designed to blend perfectly with the existing building. The choice of materials and the craftsmanship in the building have given us an addition that will last a thousand years. The hall was opened in September 2013 and is now in regular use for children's activities, by our Discussion Forum, for church meetings and activities as well as a social space. It also allows us to hold a wide range of events such as a social evening for newcomers to our villages, Tea at Three for those who like a chance to enjoy a bit of company, baptismal receptions, refreshments after funerals, etc. A number of community groups hire the hall as well. All this has been made possible by the tremendous generosity of the people of Frensham and we look forward to its continued use in service of the community. 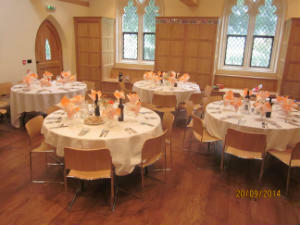 If you wish to hire the Hall, the cost is £15 per hour for regular bookings. For one-off occasions such as a wedding, funeral, or other gathering we ask for a donation. 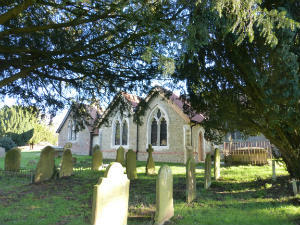 The Church of the Good Shepherd is also available to hire on a similar basis. To book St Mary's hall or the Good Shepherd, please contact Barbara Potter on 01252 794727.